Huludao City started its swimsuit industry as early as the 1970s. Since it's beginning, the industry has had great progress in both its business model and management – going from a traditional handicraft production model to today's modern cluster production model. Huludao's swimsuit industry has become a new sector of economic growth and an integral part of the city's industrial restructuring. The following is an introduction to the development of the swimsuit industry in Huludao city. 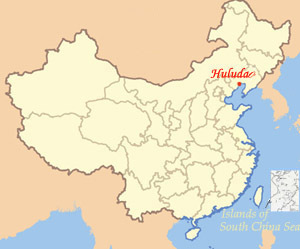 Huludao is one of three swimsuit production hubs in China. At present, 350 swimsuit companies in the city are all private-owned or joint-venture enterprises, with total annual sales revenue of 5 billion yuan, total annual production of 100 million units and bring in US$100 million in exports. The number of the jobs in the industry has reached 50,000. The swimsuits produced by the companies in Huludao are sold in markets in 25 countries and regions including Russia, US, Europe, Africa and Southeast Asia. Their market share has reached 20 percent of the global swimsuit market and over 30 percent of the domestic market. "To sell and distribute our swimsuits all around the world and let all the people in the world wearing our swimsuits" is a long-term goal of Huludao city, as well as the goal of the entire garment industry in Liaoning Province. A 100-billion-yuan industry chain is under construction, including 10 billion yuan invested in the swimsuit industry, 40 billion yuan in the industries of knitting and dyeing, spandex and polyamide, and 50 billion yuan in the polyurethane industry. -- The city plans to lay a solid foundation for the further development of the swimsuit industry, endow it with strong competitive edge and innovation, and integrate all the small enterprises and resources required. Meanwhile, the development of related mills for producing women's underwear and sports wear are also vital to the swimsuit industry. -- The city plans to optimize relationships among all the enterprises in production and operation, to enhance innovation abilities, to promote the upgrading of the industry, and to strengthen the core competitiveness of individual enterprises as well as of the whole industry. --The city plans to establish public service platforms featuring technology promotion, quality inspection, training, business promotion, e-commerce, modern logistics and fashion and creativity, and to support the research of new technologies, the innovation of industrial technologies and the sustainable development of the industrial cluster of the swimsuit industry. -- It is expected to promote the development of other related industries through the growth of the swimsuit industry of the city. Therefore, to build a 100-billion-yuan industry is an important task for the city during China's 12th Five-year Plan period. -- The city will provide special subsidies and funds for creating swimsuit brands and supporting the establishment of swimsuit service platforms, a loan guarantee system and an export tax rebate system. It also supports the rationalization of the industrial distribution, encourages competitions among enterprises, stimulates technological innovation, merging and restructuring of the enterprises, helps attract foreign investments from well-known companies, and invites famous world-class designers.